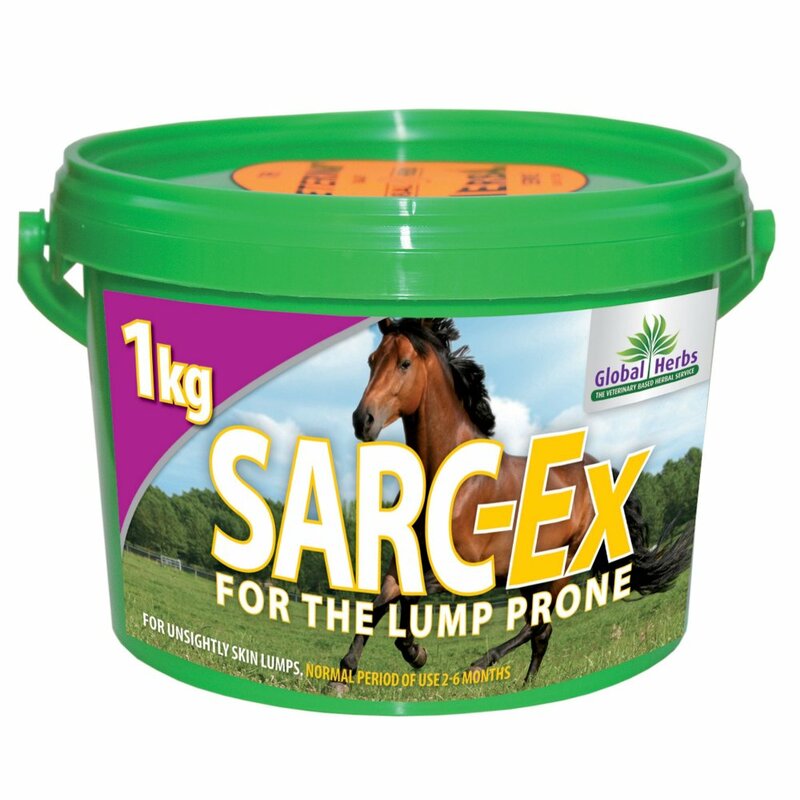 Global Herbs Sarc-Ex is a traditional formula for the relief of skin lumps and other skin concerns. It is still not yet known what causes skin lumps but it is thought they are closely related to insect bites, certain viruses and weaknesses in the body's natural defences. Sarc-Ex is formulated to support the immune system naturally, through the use of antioxidants to relax the immune system. Sarc-Ex also supports the digestive process as much of the bodies natural defences are found in the bowels, the lining of which needs to remain resilient. Finally, Global Herbs Sarc-Ex provides a nutritional base to help the body fight microorganisms and other abnormalities. It can help to feed GlobalVite alongside Sarc-Ex.